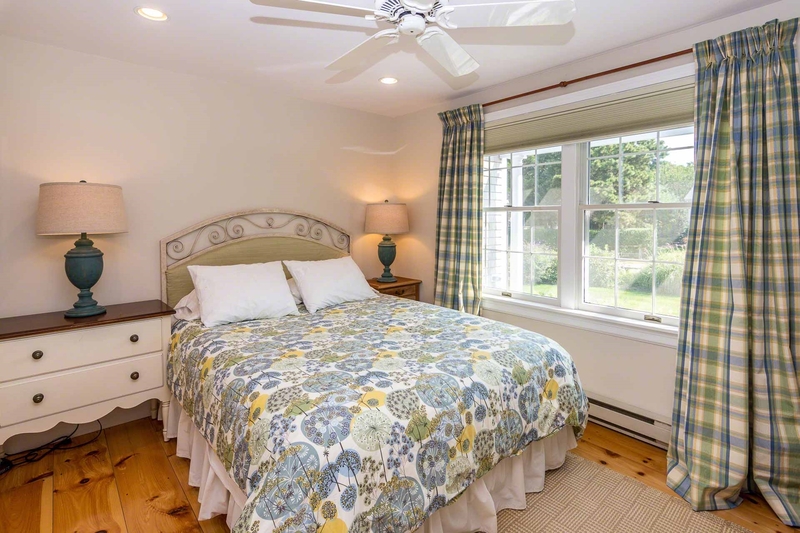 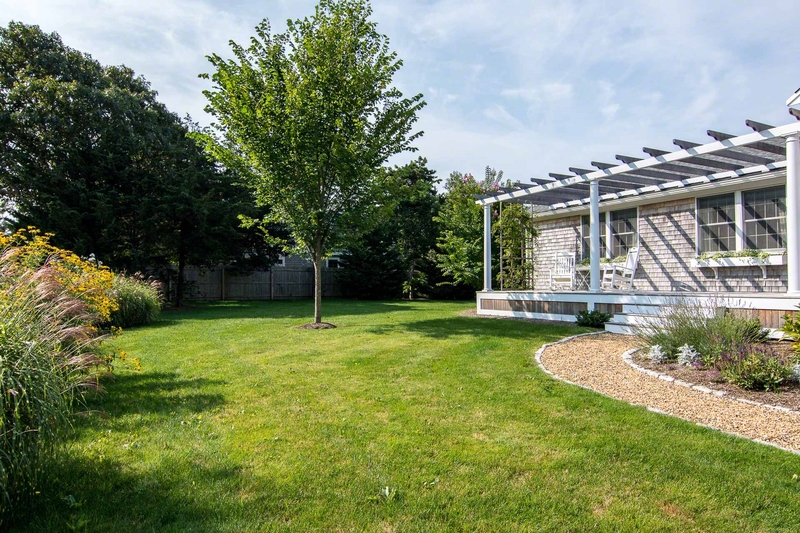 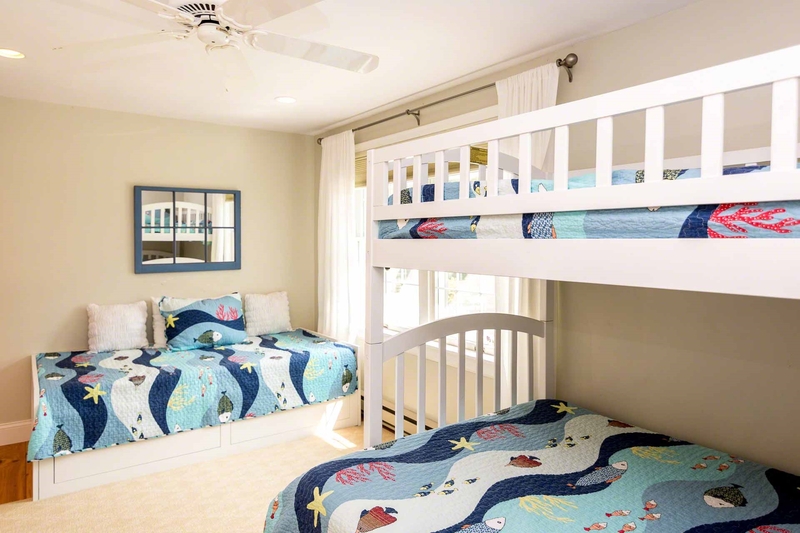 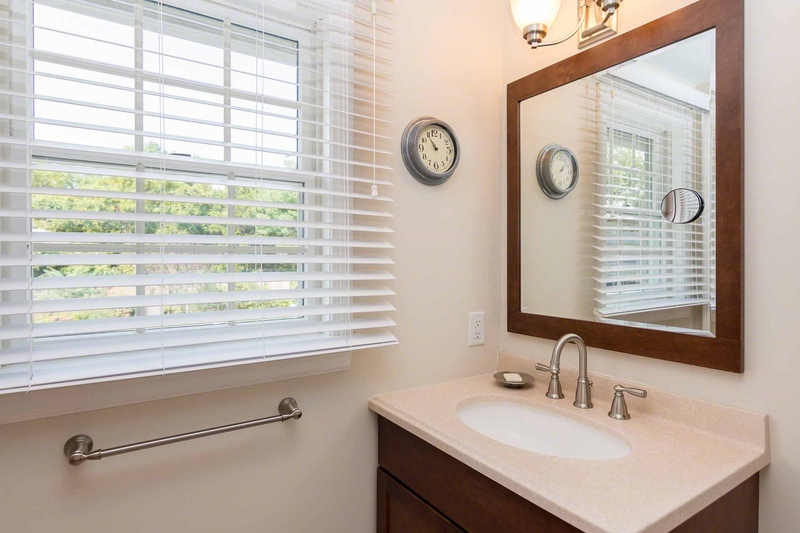 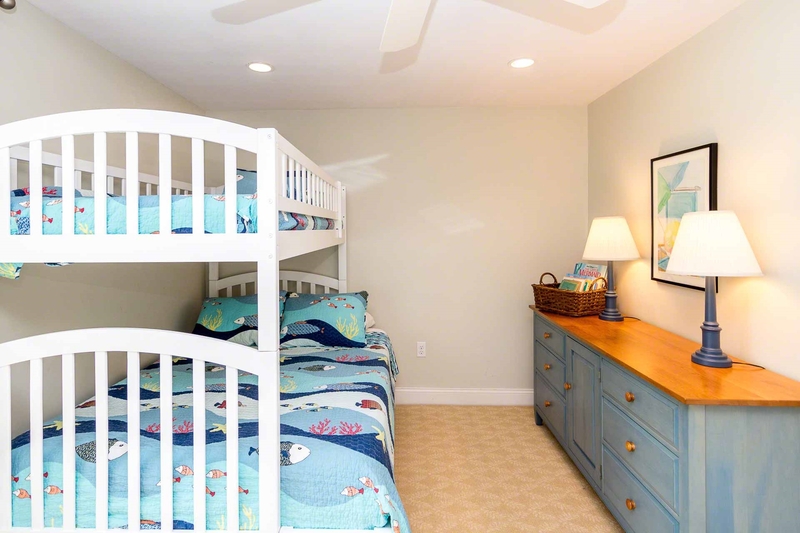 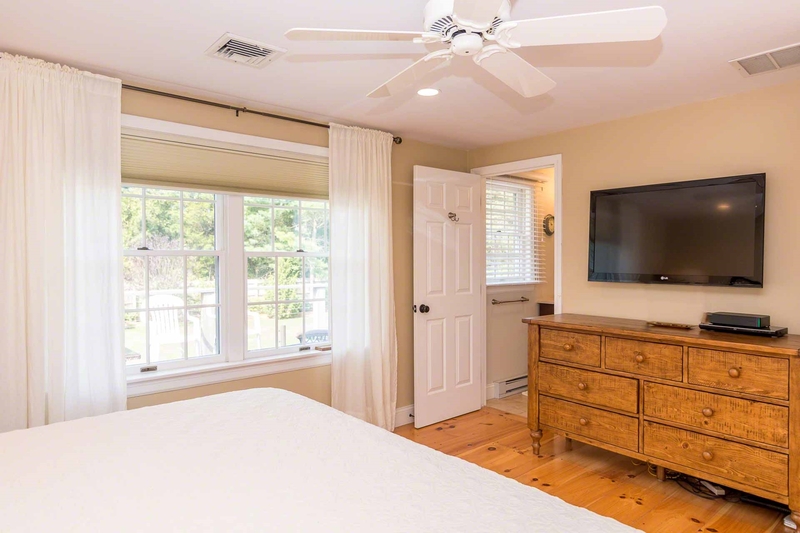 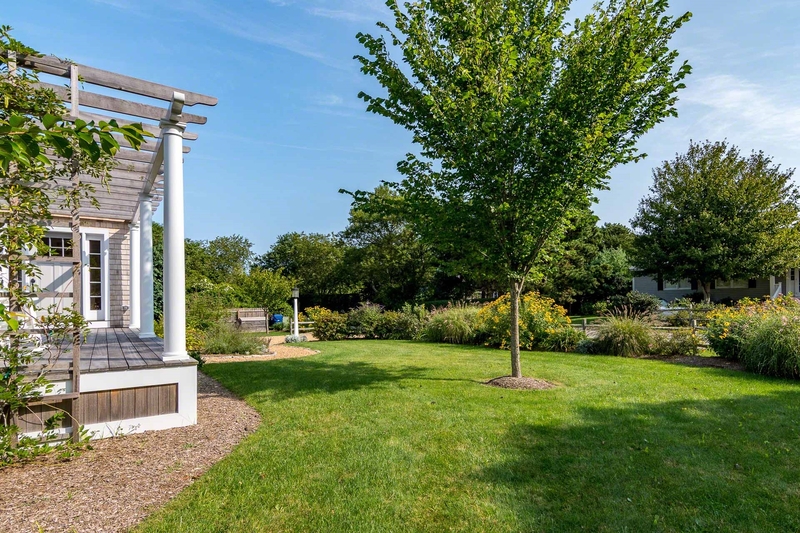 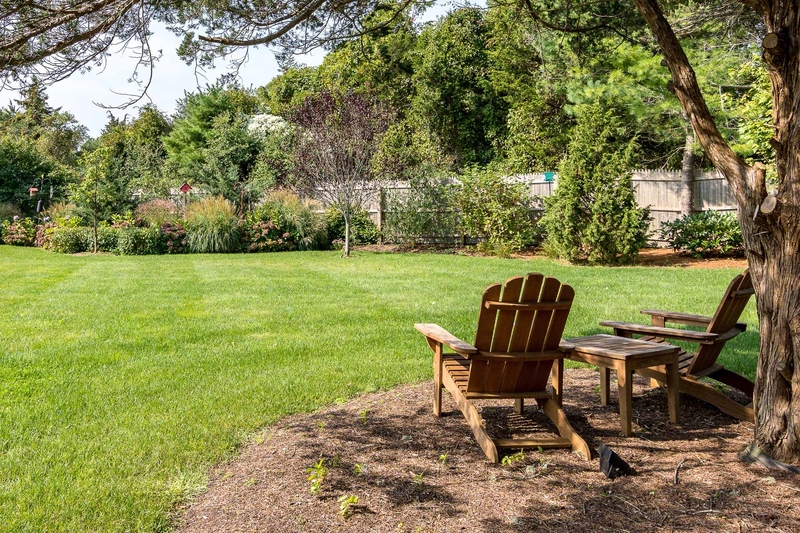 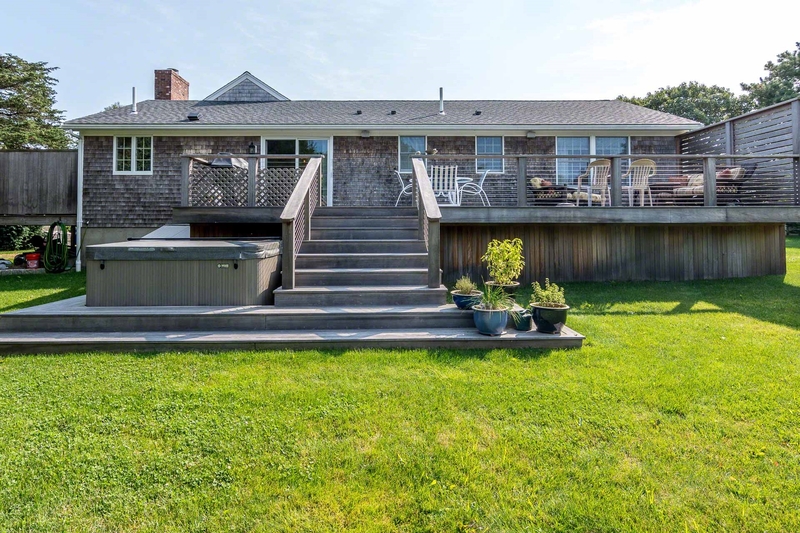 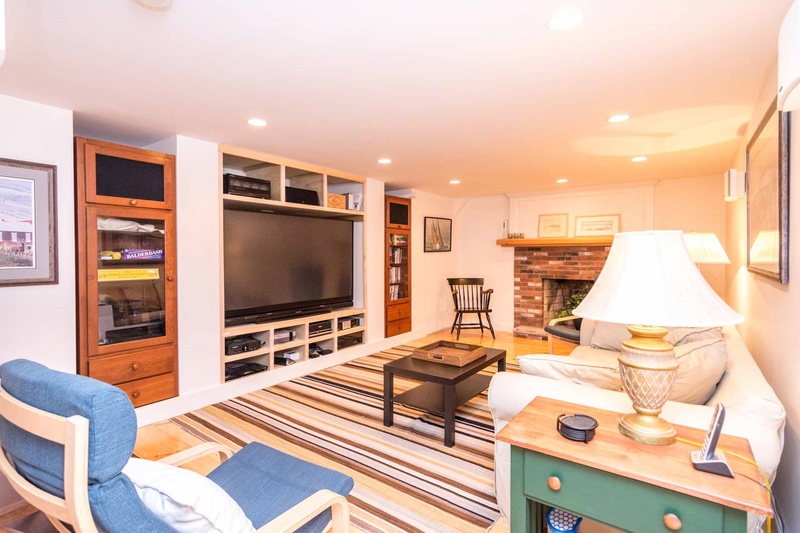 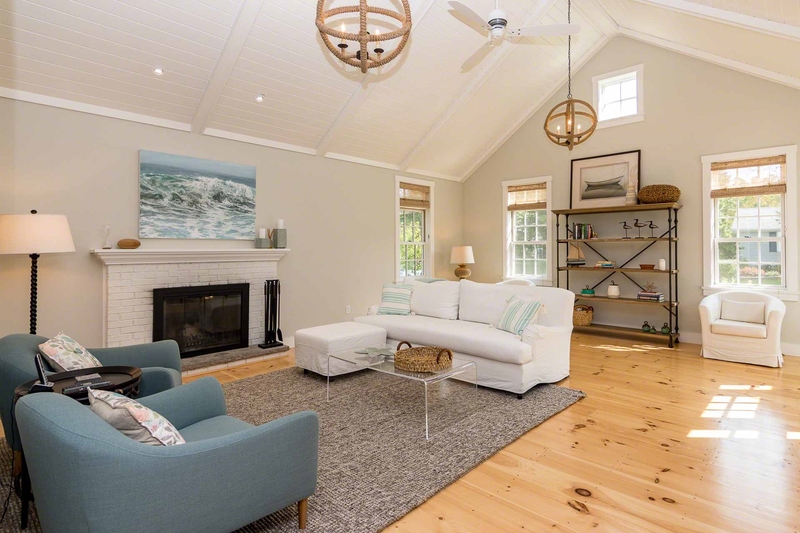 This recently renovated cottage is tucked back in a quiet Katama neighborhood, and features a stylishly designed interior, paired with outdoor living spaces that include two decks, large front and backyards, with nicely landscaped grounds and gardens. 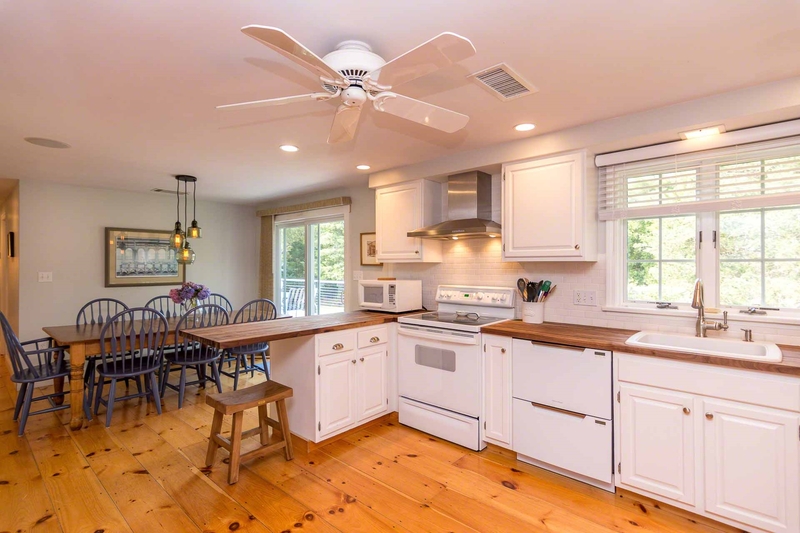 The first floor has a modern layout, with open Living, Dining, and Kitchen Areas with wide plank pine floors. 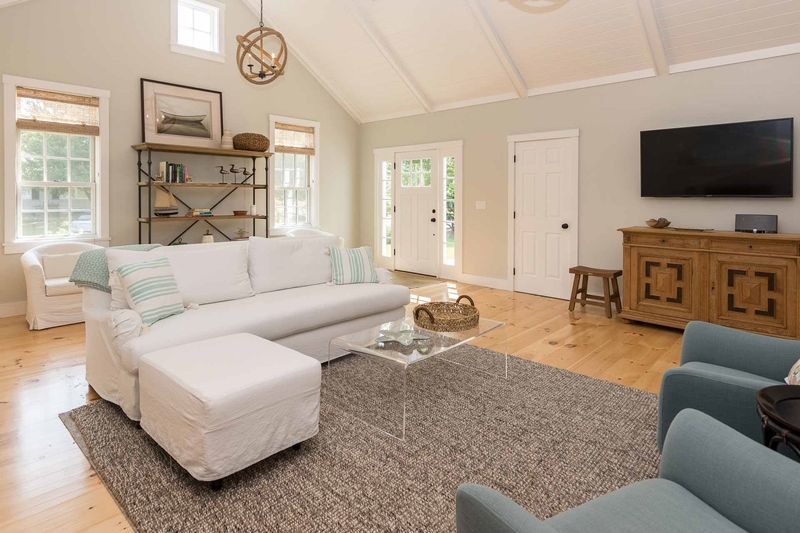 The Living Area has vaulted ceilings, and seating centered around a gas fireplace and media center. 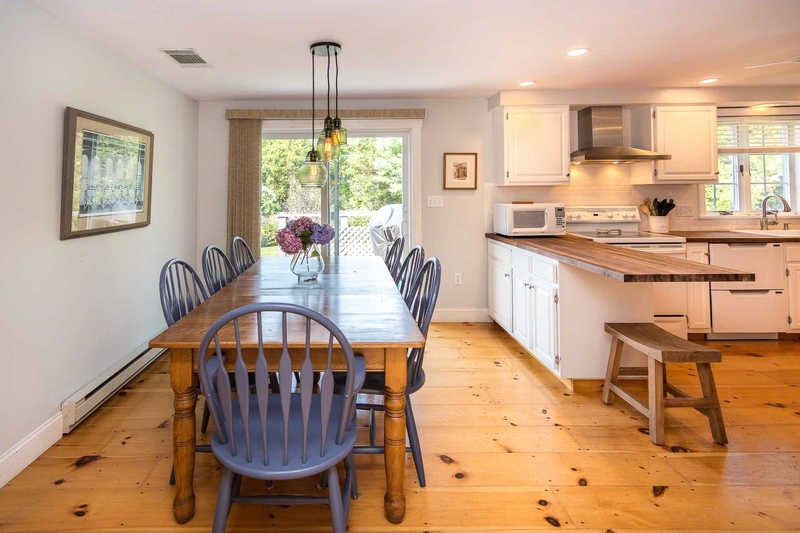 The Dining Area opens to the Kitchen for easy vacation entertaining. 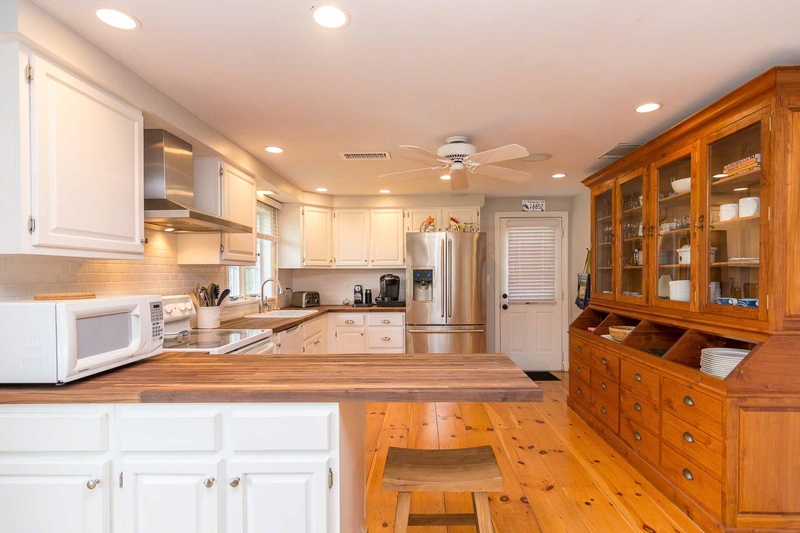 The Kitchen has dark butcher block counters, and breakfast bar, and a sliding glass door opens to the back deck for outdoor dining, grilling and entertaining. 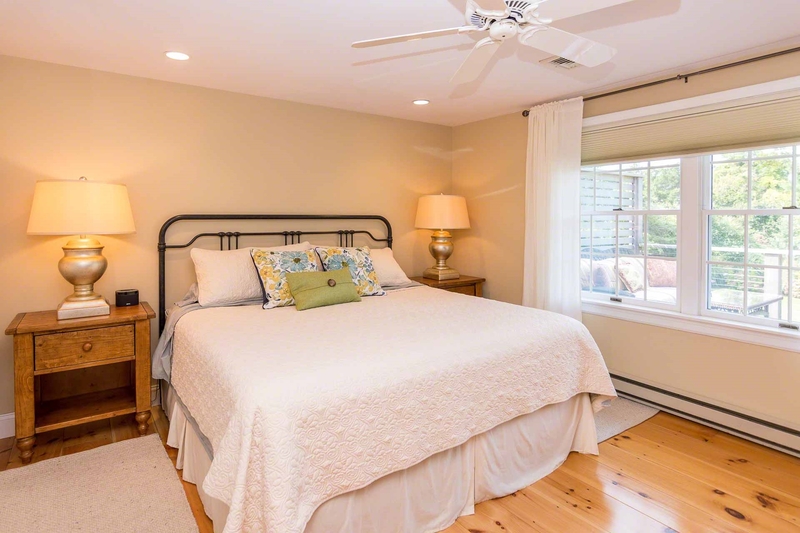 All three Bedrooms are also on the first level, including the Master Bedroom with en suite bath. 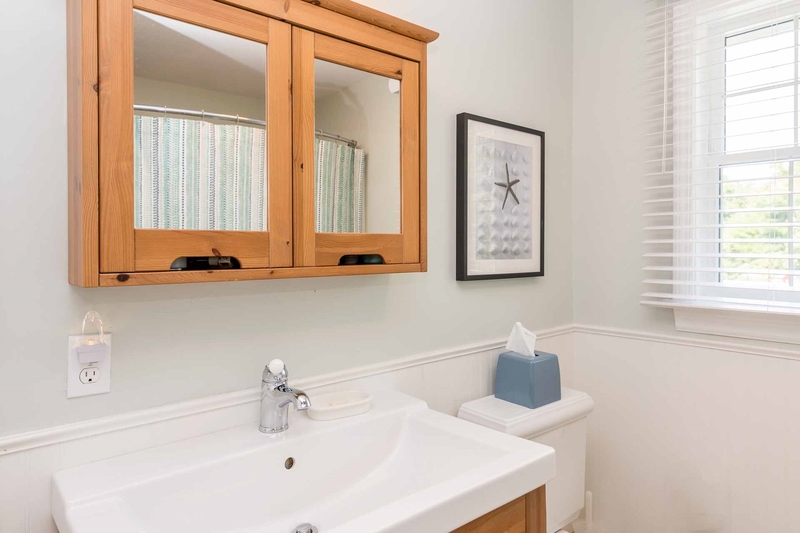 The other two Bedrooms share a full bath. 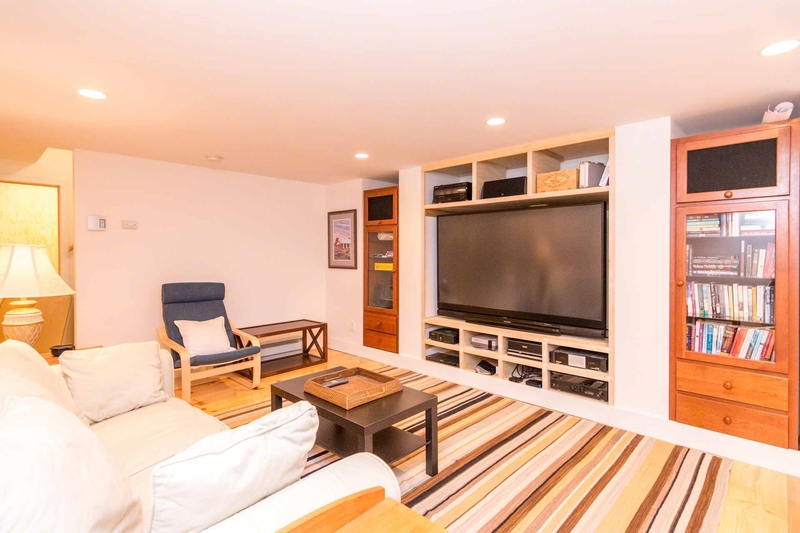 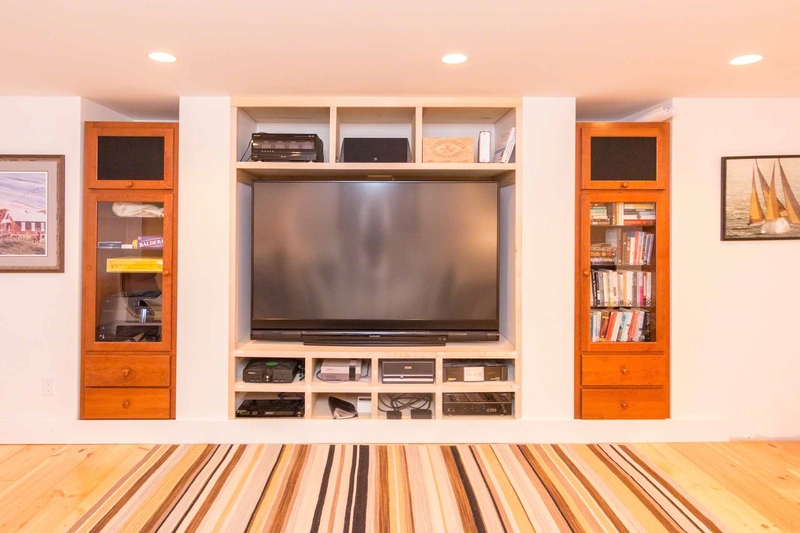 There is a TV/Family Room on the lower level with media center and seating. 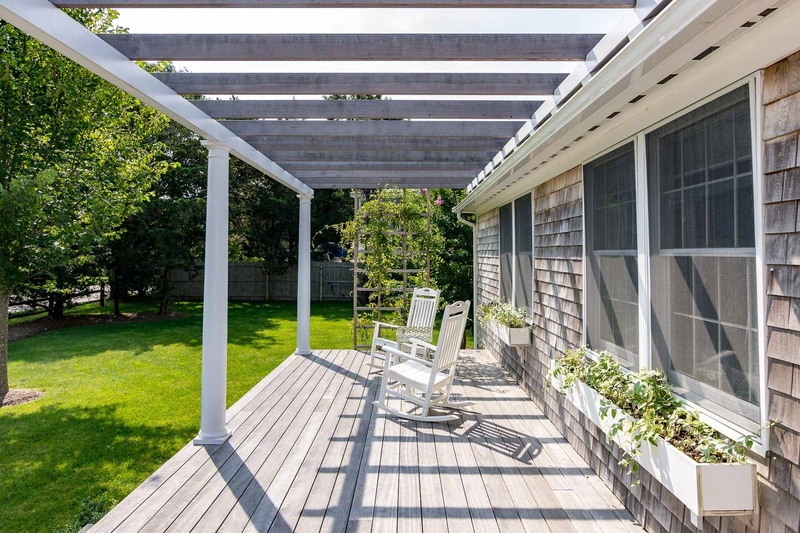 The front deck has seating with a pergola, while the larger back deck, has lounge and dining area. 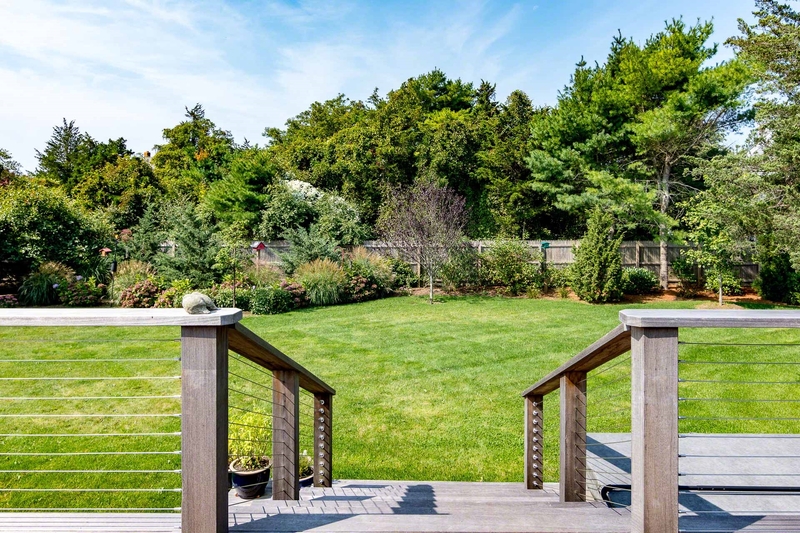 Both decks enjoy views across the gardens and grounds. 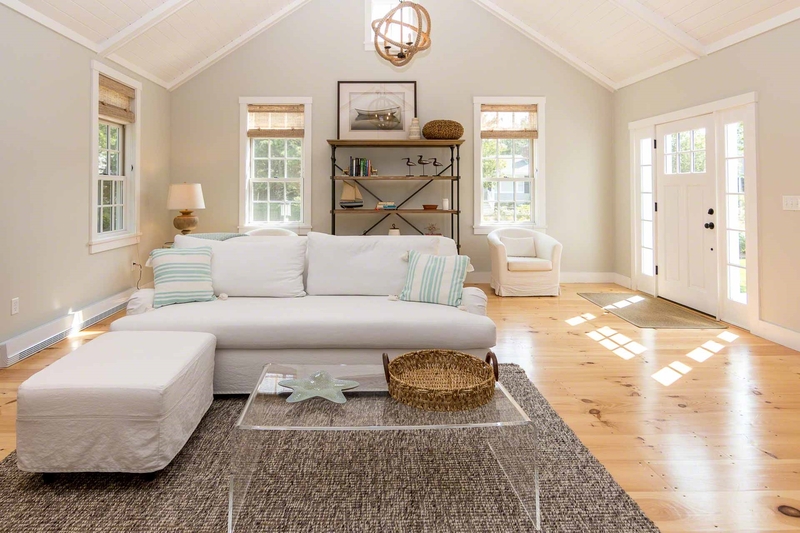 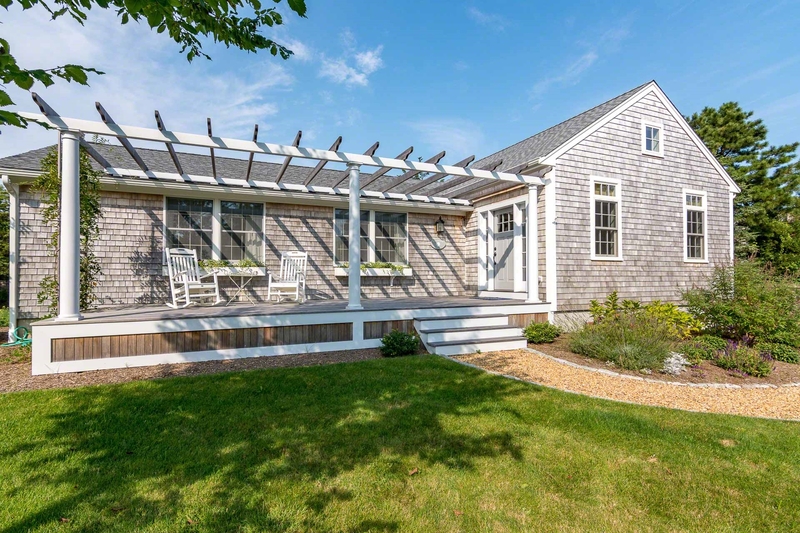 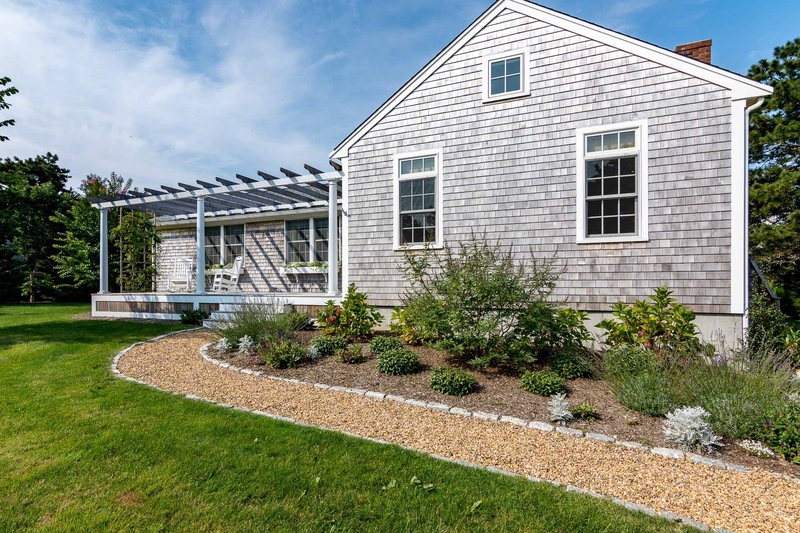 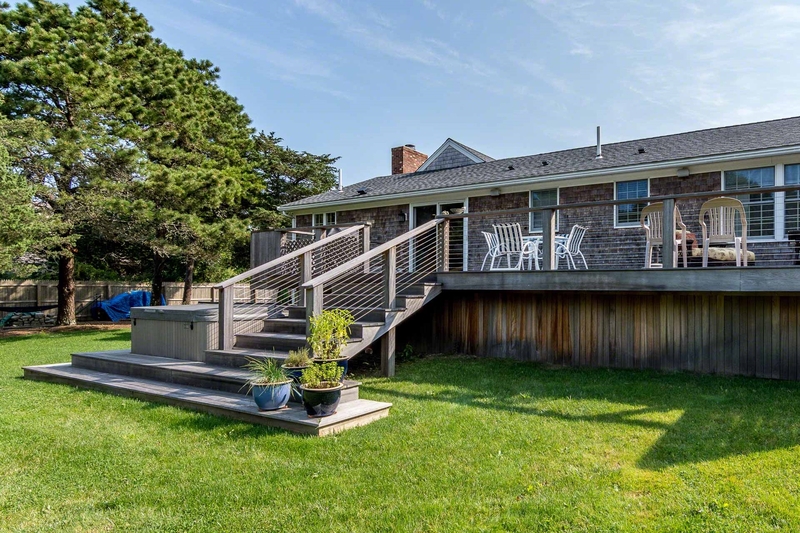 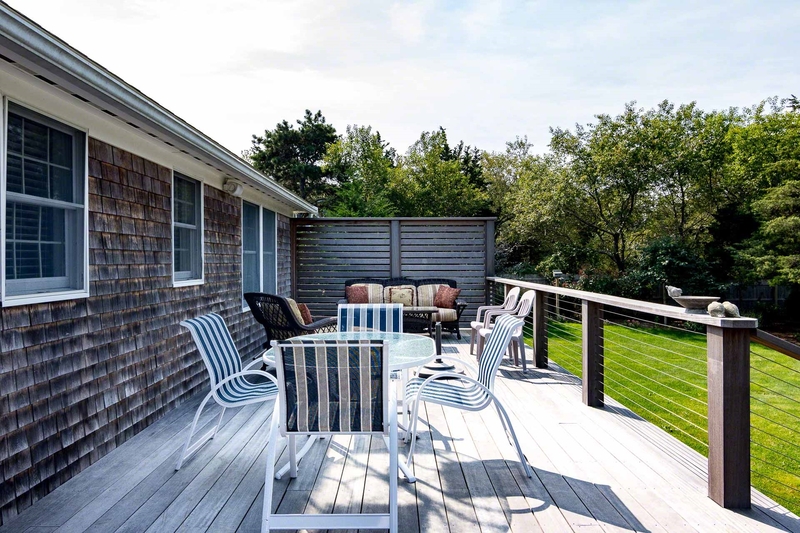 The Cottage sits about two-and-half miles from South Beach, and a about a mile and a half from downtown Edgartown, with its restaurants, shops, and harbor. 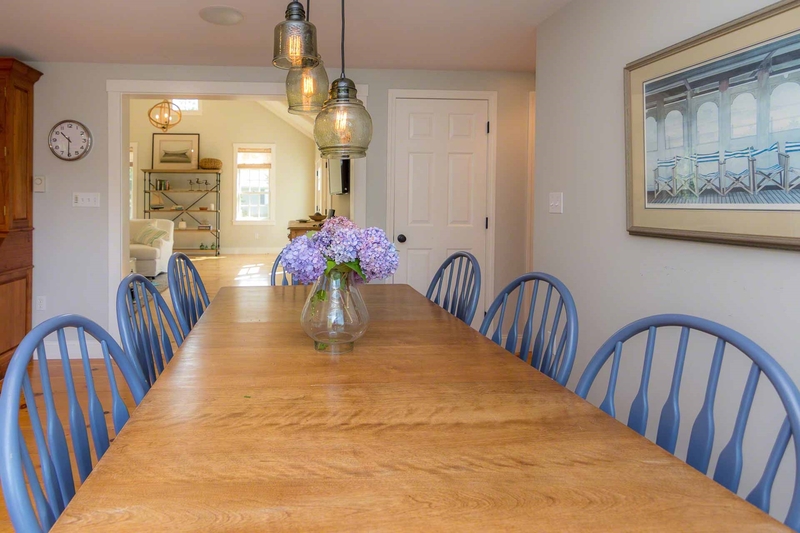 The house was renovated in 2015. 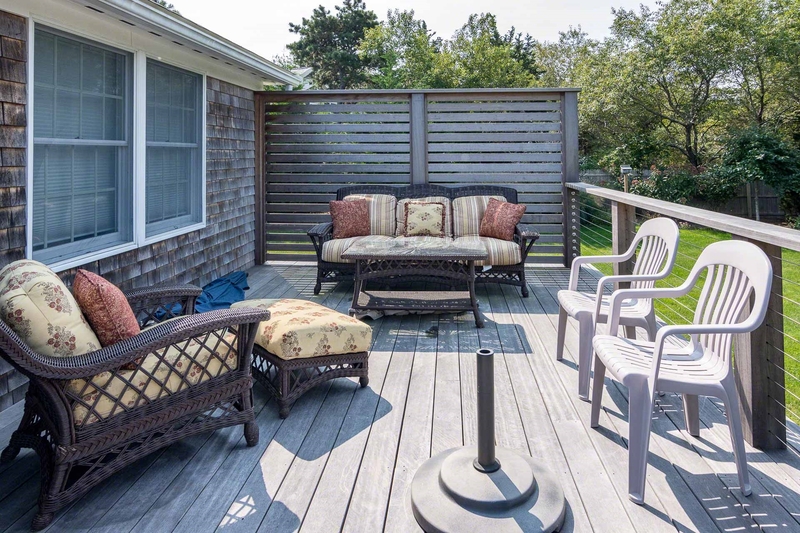 NOTE: The hot tub shown in the photos has been removed.